Here is a vegetable that wins over gourmets and nutritionists alike, because, in addition to its refined flavor, the asparagus abounds with a great quantity and variety of antioxidants. It is also rich in minerals, folate and vitamin K. Low in calories, with a 90% water content, it is known for its re-mineralizing and diuretic properties. Contrary to popular belief, it’s better to buy larger asparagus, as they are more tender than the thin ones, owing to the fact that they have proportionally less ‘woody’ fibers. Also choose asparagus, which have a firm and compact tip, with stalks that are intact but supple under the fingers and which don’t break easily. In Canada, asparagus harvesting lasts for a relatively short period, from Mother’s Day to Father’s Day. 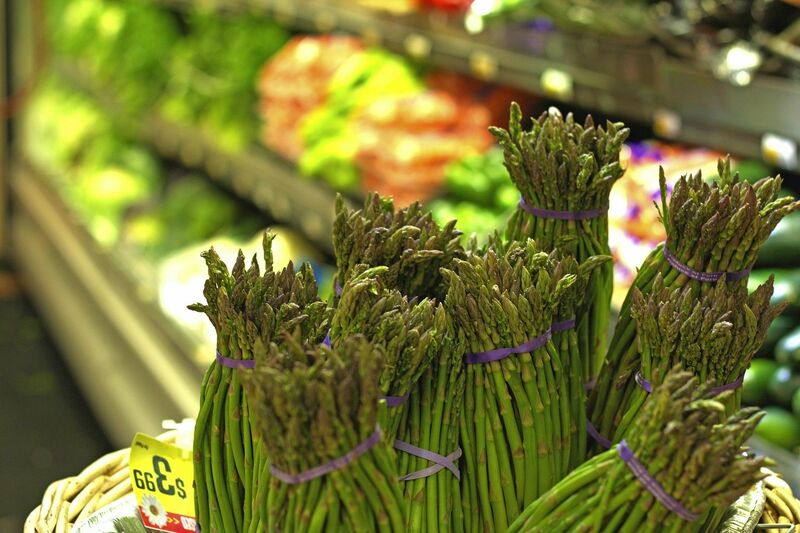 Asparagus from Quebec can be easily identified by the “Aliments du Québec” logo, printed either on the yellow elastic bands or on the producers’ label, which is a sign of unparalleled freshness and nutritional value. Try our recipe for Roasted Asparagus.